Malaysia is the 11th most visited country in the world. Malaysia is a country in Southeast Asia, located partly on a peninsula of the Asian mainland and partly on the northern third of the island of Borneo. West Malaysia shares a border with Thailand, is connected by a causeway and a bridge to the island state of Singapore, and has coastlines on the South China Sea and the Straits of Malacca. Malaysia conferences will be providing an excellent international forum for sharing knowledge and results in Emerging Technological Innovations in Sciences, Engineering, Technology and Management. 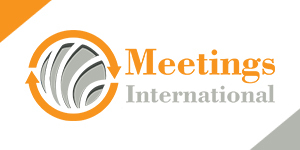 In 2018 Meetings International will be hosting 3 conferences in Malaysia. Malaysia’s economy grew at the fastest pace in more than three years in the third quarter, supported by resilient domestic demand and a manufacturing sector that’s benefiting from booming global trade. The median estimate of 19 economists surveyed by Bloomberg was 5.7 percent. Malaysia has emerged as one of the bright spots in Southeast Asia this year, with economists upgrading growth projections amid an export recovery. Malaysia is the biggest community for business thousands of businesses ranging from small organization to large. Malaysia’s population was 31.3 million as of December 2015. According to Bank Negara Malaysia (Malaysia’s Central Bank), Malaysia’s GDP in 2015 was valued at US$296.7 billion. In 2016, Malaysia GDP growth is projected be 4.4 percent. GDP growth was 5.0 percent and 5.9 percent in 2015 and 2014, respectively. Malaysia is continuing efforts to boost domestic demand and reduce the economy's dependence on exports. Nevertheless, exports - particularly of electronics, oil and gas, palm oil and rubber - remain a significant driver of the economy. Gross exports of goods and services constitute more than 80 percent of GDP, with 15.8 percent of Malaysia’s exports going to China, its top trading partner. China’s weakened demand and falling global commodity prices have slowed Malaysia’s prospects for economic growth. The Malaysian education system described and compared with the Dutch system. Malaysia is made up of 2 separate regions: the peninsula on the Asian continent, and Sabah and Sarawak, located on the island of Borneo. Malaysia has 13 states and 3 federal territories, the latter being the capital city of Kuala Lumpur, Labuan and Putrajaya. The country has 3 major population groups, i.e. the Malaysians, the Chinese and the Indian. The national religion is Islam. Malaysia offers a wide range of incentives and financial assistance to attract investments in R&D activities. R&D includes R&D Company, R&D Contract Company and In-House R&D and R&D Status Company. The Promotion of Investment Act, 1986 defines Research and Development (R&D) as "any systematic or intensive study carried out in the field of science or technology with the objective of using the results of the study for the production or improvement of materials, devices, products, produce or processes but does not include: quality control of products or routine testing of materials, devices, products or produce; research in the social sciences or humanities; routine data collection; efficiency surveys or management studies; and market research or sales promotion. Transportation in Malaysia started to develop during British colonial rule, and the country's transport network is now diverse and developed. Malaysia's road network is extensive, covering 144,403 km, including 1,821 km of expressways. The main highway of the country extends over 800 km, reaching the Thai border from Singapore. The network of roads in Peninsular Malaysia is of high quality, whilst the road system in East Malaysia is not as well-developed. The official airline of Malaysia is Malaysia Airlines, providing international and domestic air service alongside two other carriers. Most of the major cities are connected by air routes. The railway system is state-run, and covers a total of 1,849 km. Popular within the cities is Light Rapid Transit, which reduces the traffic load on other systems, and is considered safe, comfortable and reliable. Malaysia is the 11th most visited country in the world. In Kuala Lumpur alone, tourist attractions are limitless. Bukit Bintang is the most visited part of Kuala Lumpur as there are many shopping malls and eateries in the area. Tourists are also attracted to visit the Chinatown (Petaling Street) of Kuala Lumpur as it is a great place to try local street food and get some cheap goods. Shopping can also be done at the Central Market Kuala Lumpur, Chow Kit Market, Ain Arabia Kuala Lumpur and Little India Kuala Lumpur. These are also great places to watch and experience the local culture of our multi-racial society. Other commonly visited places are the Merdeka Square, KLCC Park and the 88-storey Petronas Twin Towers. Malaysia offers two very distinct experiences: the peninsula and Borneo (an island shared with Indonesia and Brunei). The peninsula or West Malaysia is a mix of Malay, Chinese and Indian flavors with an efficient and modern capital, Kuala Lumpur. Malaysian Borneo features some of the most interesting places in Malaysia with a wild jungle, orangutans, granite peaks and remote tribes. Attend Meetings International conferences in Malaysia and get an opportunity to explore its attractions.